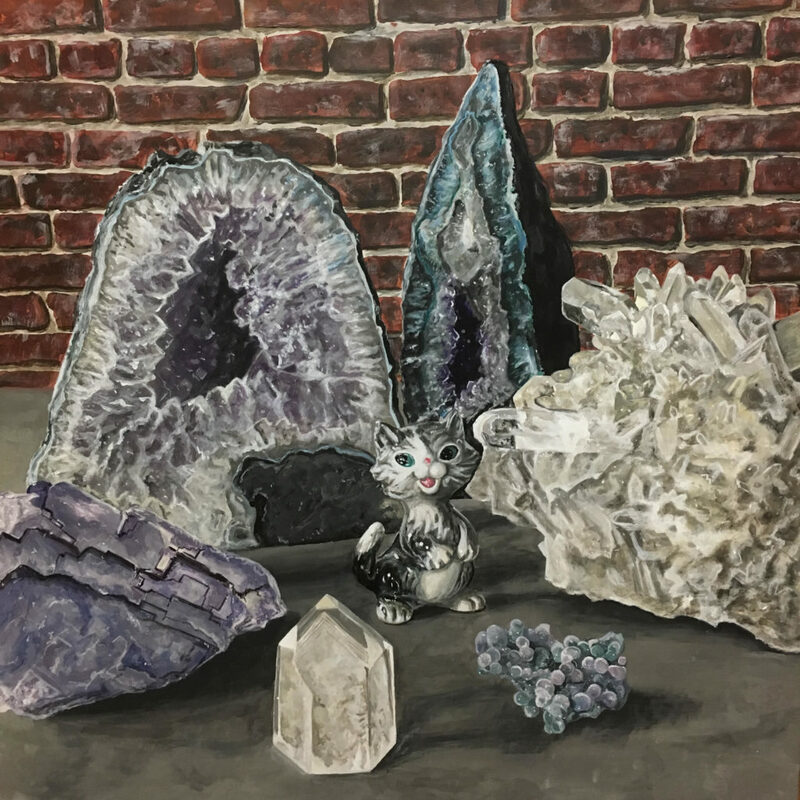 The Piano Craft Gallery invites visitors to view the exhibition, Cats and Crystals. 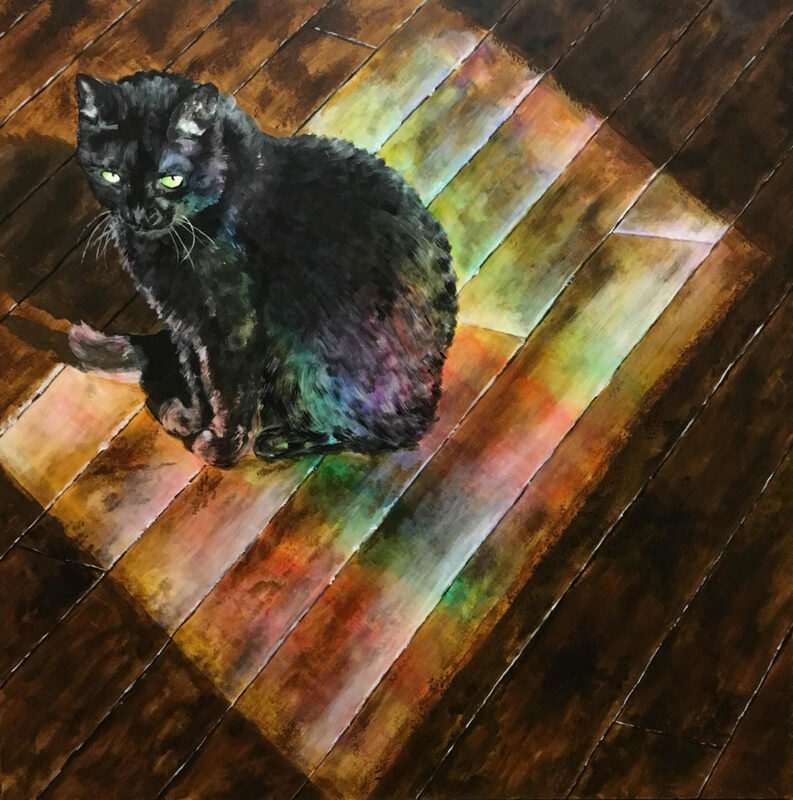 gallery president, Erik Grau, exhibits his installation that addresses repetition, order, and quiet stillness through the direct representation of collected items of importance and his companion animals in the home. 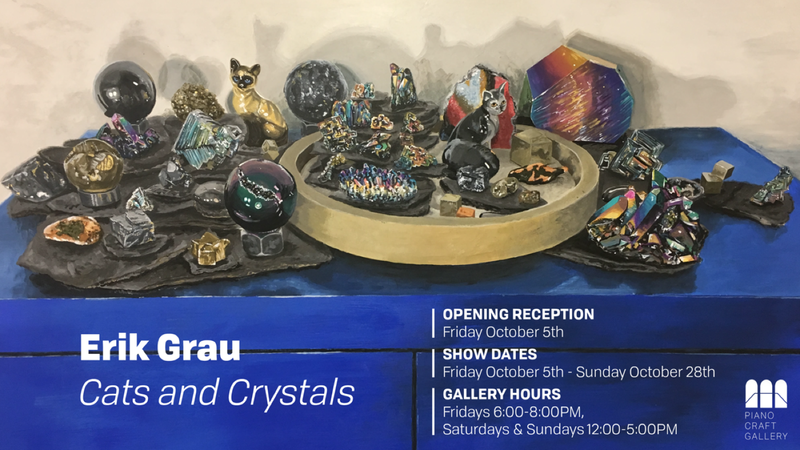 the opening reception is October 5th from 6 to 9 pm. join us! "As a traveling behavioral consultant and public school kindergarten teacher, the home environment has become increasingly more important in my life. The need for quiet stillness has motivated me to curate a home filled with objects of importance, that when viewed together, address repetition and order. 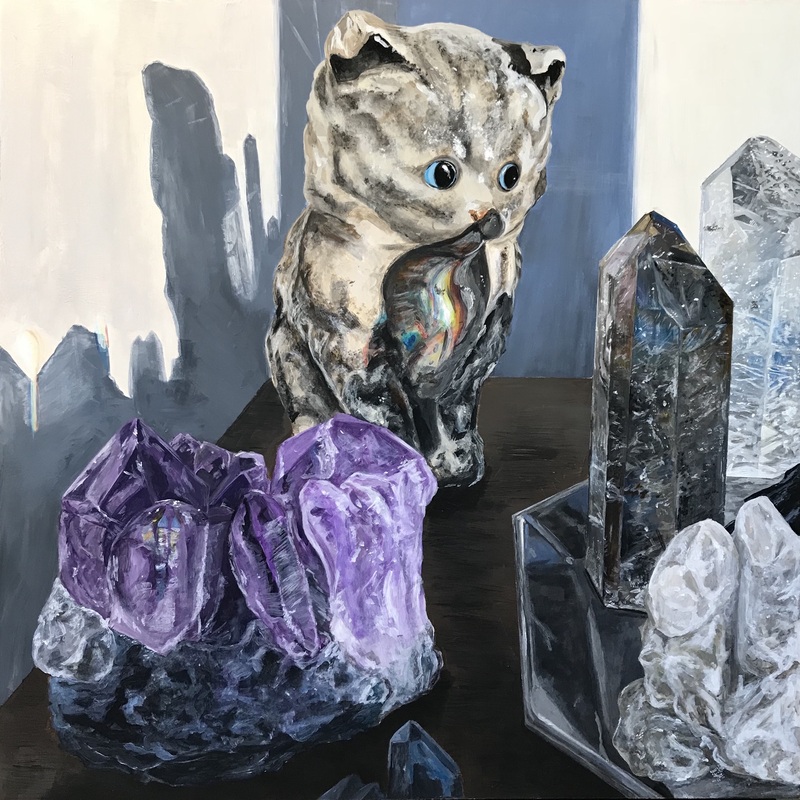 My paintings focus on the positive energy associated with the crystals and minerals I collect, and incorporate my specific interest in cats in the forms of accumulated knick-knacks and the depictions of my two companion animals." 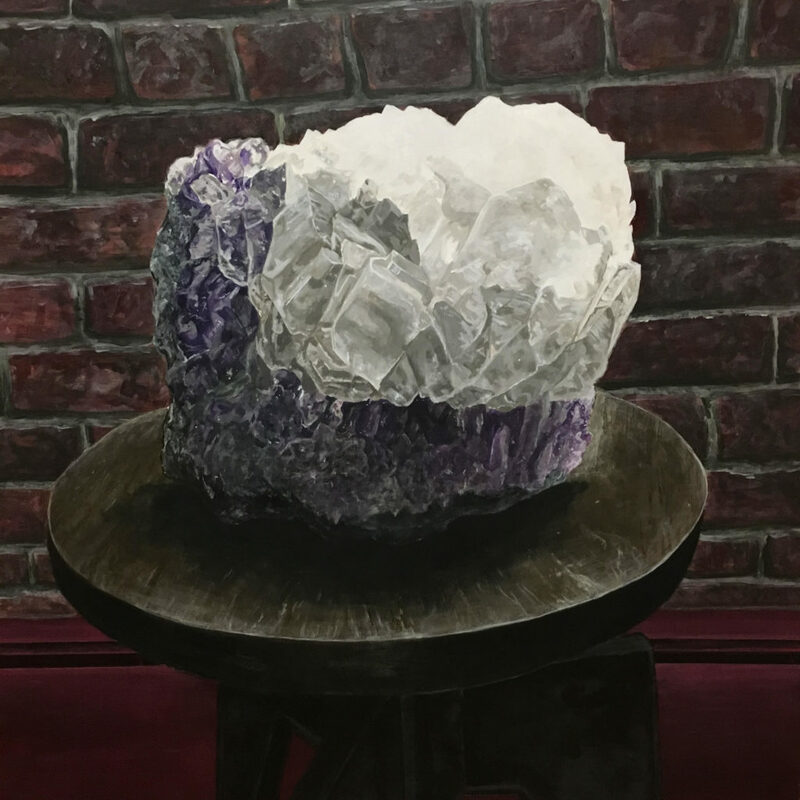 Born and raised in Milwaukee, Wisconsin, Erik studied sculpture at Carroll University before moving to Boston, Massachusetts to pursue an MFA in sculpture at Boston University. 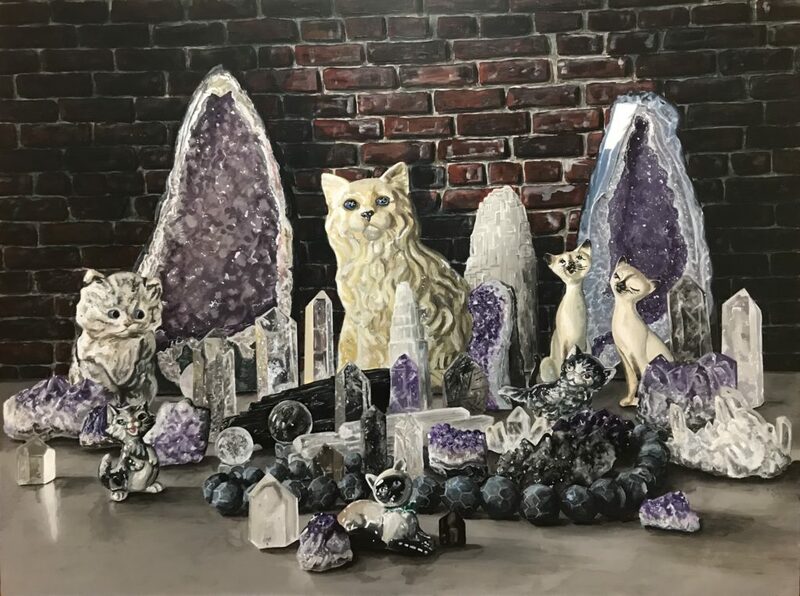 His early work focused on political ideas surrounding factory farming, while more recent work focuses on depictions of cats, crystals, and knick-knacks in his immediate home environment. 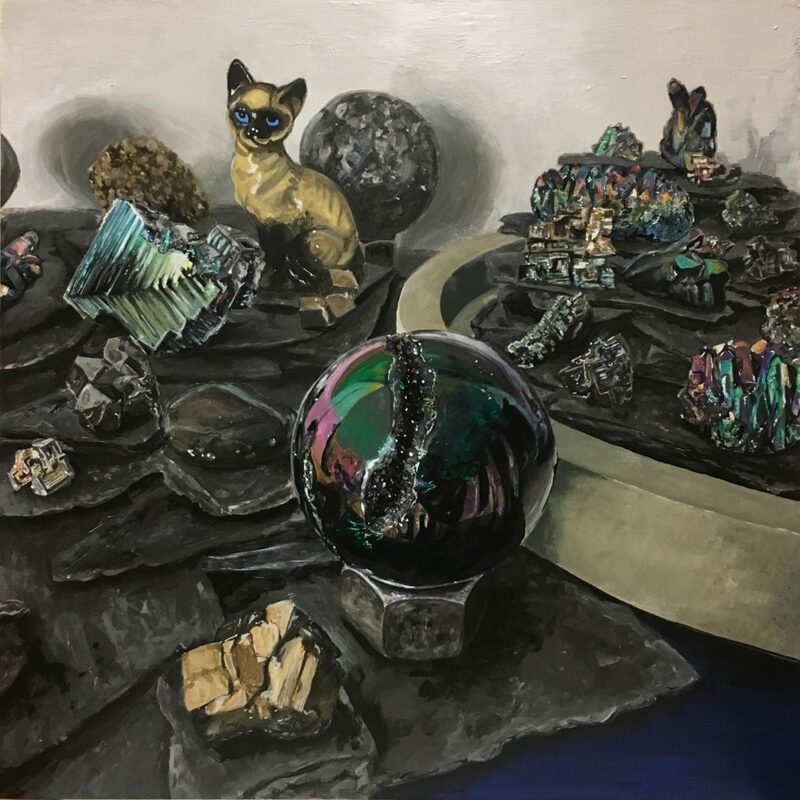 In addition to visual art, Erik studied applied behavior analysis and education at the University of Massachusetts Lowell, and works full time as a Board Certified Behavior Analyst and Boston Public Schools Kindergarten Inclusion teacher. Erik is a member of Boston’s MUSA Collective, an artist owned and operated gallery space in Allston. 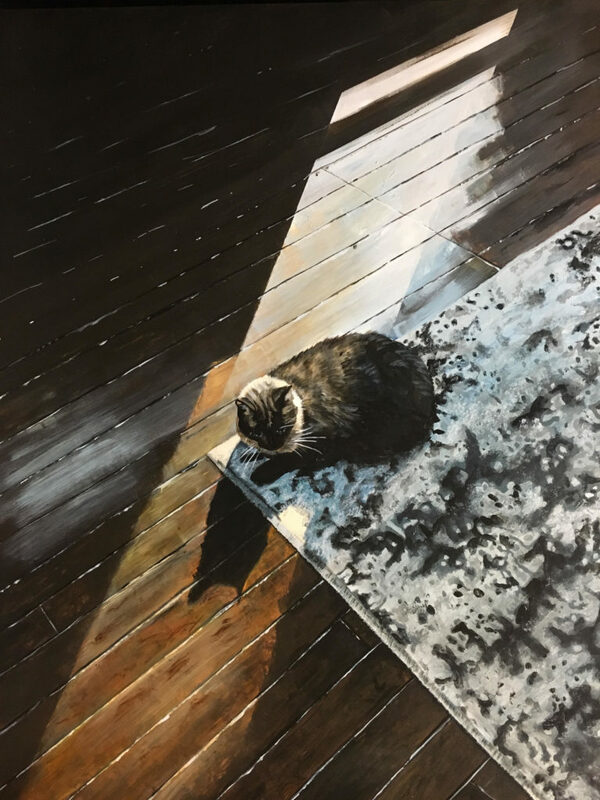 He has exhibited work in the midwest as well as the east and west coasts, and has work in the Wisconsin collection. Most recently Erik was the artist in residence at room83spring in Watertown, MA. Erik is the current president of the Piano Craft Gallery and a resident of the Piano Craft Guild in the south end. The Piano Craft Gallery, dedicated to offering thought-provoking and engaging exhibitions, is a historic Boston landmark located at 793 Tremont Street, Boston, Massachusetts. For more information, visit www.pianocraftgallery.com or www.facebook.com/gallerypf.